Fort St. Angelo (Maltese: Forti Sant'Anġlu or Fortizza Sant'Anġlu) is a bastioned fort in Birgu, Malta, located at the centre of the Grand Harbour. It was originally built in the medieval period as a castle called the Castrum Maris (English: Castle by the Sea; Italian: Castello al Mare). It was rebuilt by the Order of Saint John as a bastioned fort called Fort Saint Angelo between the 1530s and the 1560s, and it is best known for its role as the Order's headquarters during the Great Siege of Malta of 1565. A major reconstruction to designs of Carlos de Grunenbergh took place in the 1690s, giving the fort its current appearance. The fort was garrisoned by the British from 1800 to 1979, at times being classified as a stone frigate known as HMS Egmont or later HMS St Angelo. The fort suffered considerable damage during World War II, but it was later restored. 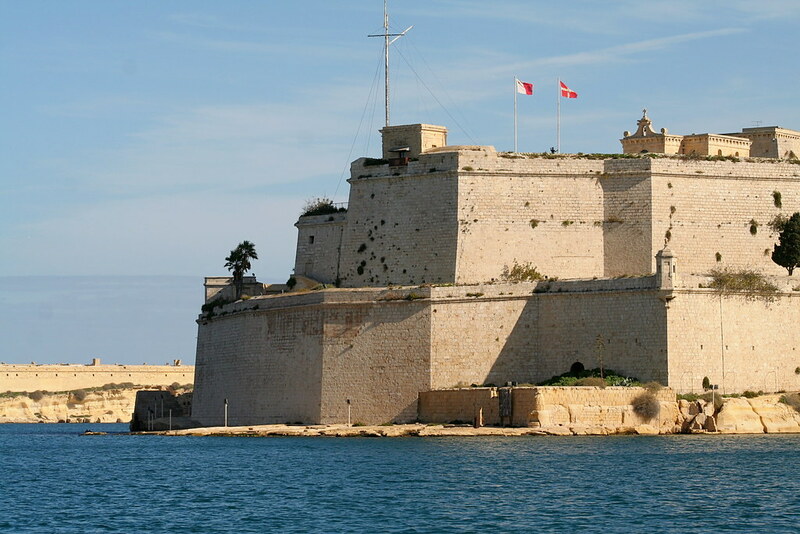 In 1998, the upper part of the fort was handed to the Sovereign Military Order of Malta. Fort St. Angelo has been on Malta's tentative list of UNESCO World Heritage Sites since 1998, as part of the Knights' Fortifications around the Harbours of Malta. The fort commands a spectacular location over the Grand Harbour of Malta and even for this reason alone one should visit this place. The site is very interesting and covers hundreds of years of history and military fortifications. It would be nice to have audio guides to help one understand what the various structures are. The cafe is also a good place to stop and have a drink although some umbrellas could be added to shelter from the scorching summer sun. An exquisite venue for any occasion with breath taking views of our wonderful grand harbour. The fireworks across the water in Marsa put the cherry on the cake. Very well kept and truly wonderful staff. Keep it up. Spent an enjoyable few hours here wandering round the various parts. views were good from the walls. Good place to visit.